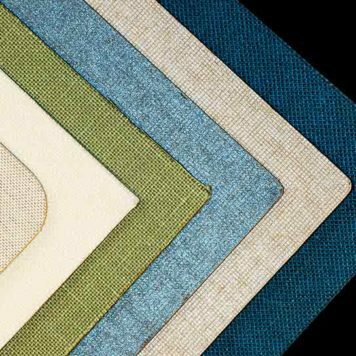 Mat frames come in hundreds of color and texture combinations; picking on can sometimes be a tricky business. For example, we probably have more than a dozen shades of White alone! 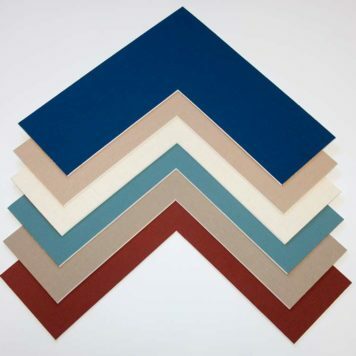 Experience shows that selecting the right frame mat color can make a world of difference in the final result. Here too, we have an extensive selection & our friendly and creative staff can help select the mat that works best with your artwork. We only use Conservation quality matboard to protect your artwork. 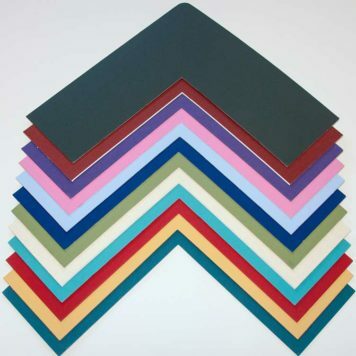 Beyond colors, frame mats are also available in a variety of textures & patterns—but care must be taken to select one of these that won’t overpower the artwork. Some pieces of art can work well with fabric mat frames. 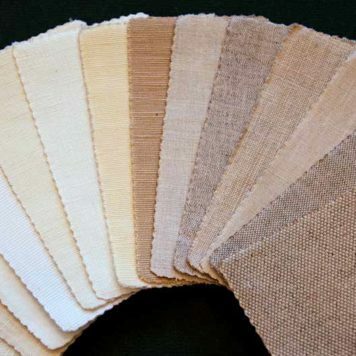 However, if the “ready-made” fabric mats aren’t quite right, you can choose from over 100 fabric samples, and we can custom wrap your fabric mat right in our workshop. Decorators frequently use this approach when trying to match a specific shade in a wallpaper for example. Finally, we also design French Mats which can include marbleized paper, French lines, and hand painted gold bevels. These French Mats are an excellent way to draw attention to the artwork they encompass. 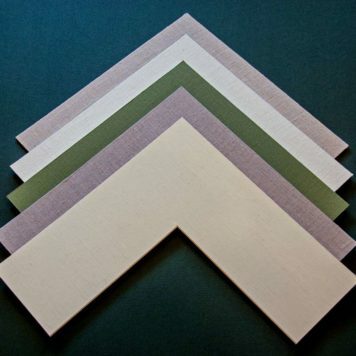 The picture frame mat and mat details are a decorative addition to any piece of artwork. Artists in the late 13th century, in an attempt to make their work unique, began decorating borders on their paper artwork. Not longer after, mounting paper was used as matting and decorated to draw attention to the artwork. After the development of glass for framing artwork, mats became an integral part of framed art. The earliest mats were wood that was an extension of the frame itself. It would have been guilded or decorated. Matting then progressed to single sheets of paper and then cardboard. 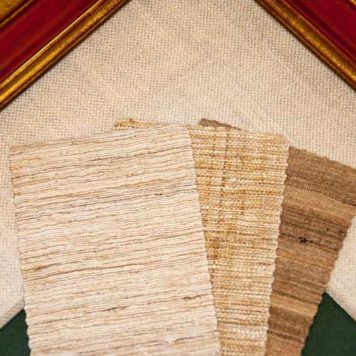 By the end of the 19th century mat boards became easily purchasable and ready made. 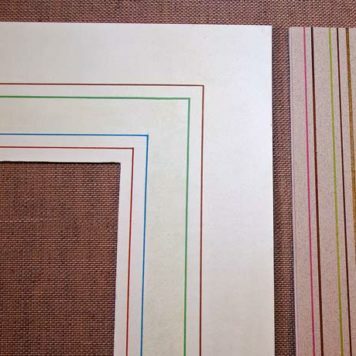 Frames and matting are part of the artwork, part of the whole design. Throughout the years, as artwork changed, so did the trends in framing and matting. Classic designs that are pleasing to the eye persevered throughout the years. The mats purpose, often being art in and of itself, is to create a complimentary enclosure for art. This extra thick mat has a hand-painted gold bevel. 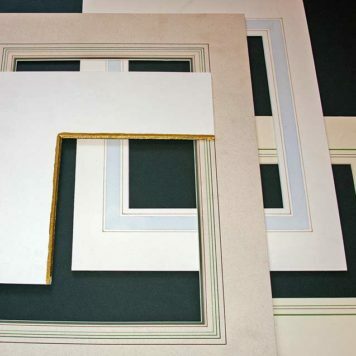 French matting at Images and Details Framing is all done meticulously by hand. With over 20 years of experience, we use special ink pens to create lines around the perimeter of the artwork. We work tediously and painstakingly to create the delicate artwork and ensure the quality is superior. Only one in ten professional framers are artisans and create mat details by hand. This is an art form in it’s own right. The colors from the artwork are replicated and used when creating the mat decor. Often a watercolor wash is used between some of the lines on the mat to enhance the mat. Another option is to use marbleized papers as an addition to the mat to create depth, texture, and color. 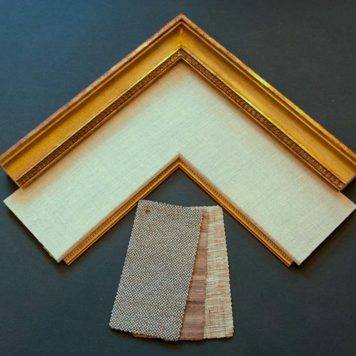 French matting is often associated with fine custom framing, older works, sophisticated works of art, museums, decorators and designers. Mats are no longer just cardboard. 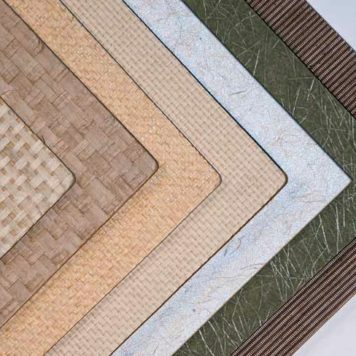 One can find a variety of materials and textures when looking for a mat. 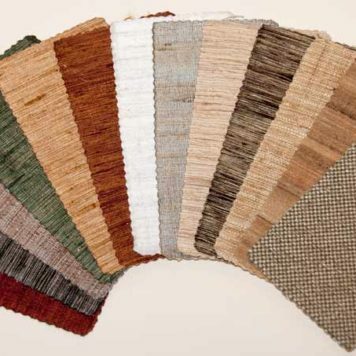 Layering a variety of mats is frequently used as a method of enhancement. 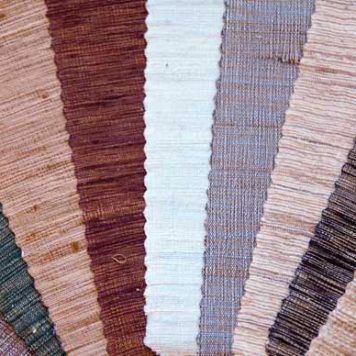 The gallery on this page shows a variety of mat details, such as fabrics, mat board, paper weaves, handmade paper, in addition to textures such as linens, weaves, smooth, rough, etc. It’s the details that bring a piece together and place it head and shoulders above commercialized artwork. We welcome you to stop by our shop and check out some of the details that would add creativity and appeal to your project.